OK boot net -install —–> Jumpstart boot. OK boot -v —-> verbose boot.show good debugging information. actions at boot time or during normal operation. resume normal operations if you enter go at the prompt. Stop-N —> Reset NVRAM contents to default values. The “netstat” command is quite useful for checking connections to your machine. If we wanted to see ALL of the connections (which i really recommend you don’t do unless you’re trying to debug something and then you should probably pipe it to a file) we could use the “netstat -a” command. As you can see it does name resolving for us and all that good stuff. Sometimes very hand but that’s not what this is about. This will show us a count of all connections that we presently have to our machine. Finally, lets take a look at the big picture in a category form. It is often extremely useful to see what those connections are doing, especially when you think you might just have tons of open connections that are idle and are trying to tweak your settings. It’s been known to happen where you have a really busy web server for instance, and maybe it’s running a lot of database connections to the same box, then stopping. That often causes things like the TIME_WAIT to pile up and a large number for any of these may be an indication that you need to adjust your tcp timeout settings. So there you have it. A quick way to return counts on your connections in your linux environment. Occasionally, when using netstat you may only care about ports that you are listening on. This is especially important if you are running a server that isn’t behind a firewall because it helps you determine what you may be vulnerable to that you aren’t aware of. using the netstat -l provides us with an excellent way to view this information. Another very common thing and powerful tool that netstat has built in is to show you network statistics in an overview fashion. 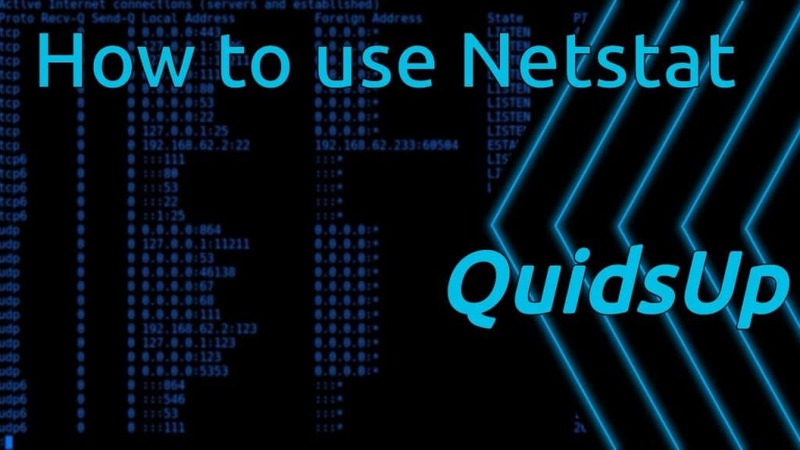 If you’re just trying to get a good idea about packet statistics then the netstat -s command may be what you’re looking for. Here is some sample output. Keep in mind that netstat -s will show statistics broken down by protocol, so the fewer protocol stacks you are running the more compacted this summary will be. Another extremely useful tool for server administrators who are trying to track down processes that have run amuck is the netstat -p command. This returns the PID of the process that has the connection. It’s also quite useful if you’ve got someone abusing a PID and you need to find out what IP it is so that you can get in touch with that individual or to block connections from that IP in the future. Here’s some sample output from netstat -p.
The fork call basically makes a duplicate of the current process, identical in almost every way (not everything is copied over, for example, resource limits in some implementations but the idea is to create as close a copy as possible). The new process (child) gets a different process ID (PID) and has the the PID of the old process (parent) as its parent PID (PPID). Because the two processes are now running exactly the same code, they can tell which is which by the return code of fork – the child gets 0, the parent gets the PID of the child. This is all, of course, assuming the fork call works – if not, no child is created and the parent gets an error code. The basic difference between vfork and fork is that when a new process is created with vfork(), the parent process is temporarily suspended, and the child process might borrow the parent’s address space. This strange state of affairs continues until the child process either exits, or calls execve(), at which point the parent process continues. This means that the child process of a vfork() must be careful to avoid unexpectedly modifying variables of the parent process. In particular, the child process must not return from the function containing the vfork() call, and it must not call exit() (if it needs to exit, it should use _exit(); actually, this is also true for the child of a normal fork()). The exec call is a way to basically replace the entire current process with a new program. It loads the program into the current process space and runs it from the entry point. exec() replaces the current process with a the executable pointed by the function. Control never returns to the original program unless there is an exec() error. Clone, as fork, creates a new process. Unlike fork, these calls allow the child process to share parts of its execution context with the calling process, such as the memory space, the table of file descriptors, and the table of signal handlers. When the child process is created with clone, it executes the function application fn(arg). (This differs from fork, where execution continues in the child from the point of the original fork call.) The fn argument is a pointer to a function that is called by the child process at the beginning of its execution. The arg argument is passed to the fn function. When the fn(arg) function application returns, the child process terminates. The integer returned by fn is the exit code for the child process. The child process may also terminate explicitly by calling exit(2) or after receiving a fatal signal.